It’s March! Spring is quickly approaching. When we will start planting corn and soybeans? Six weeks? Two months? We just have to wait on the weather. In the meantime, there’s still plenty to do on the farm. 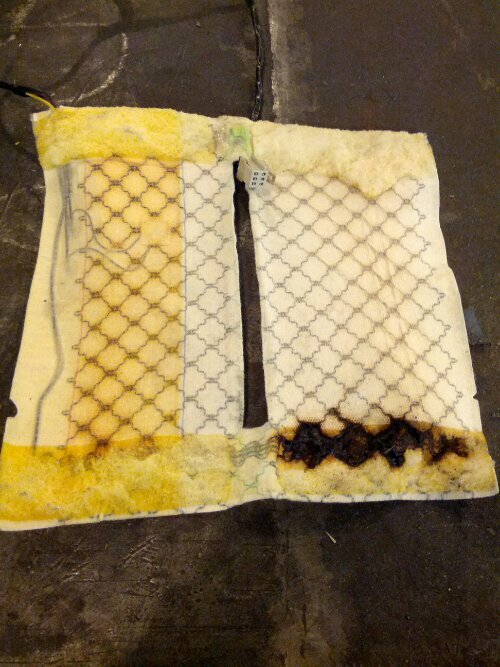 Another seat heating element burned out in my truck. 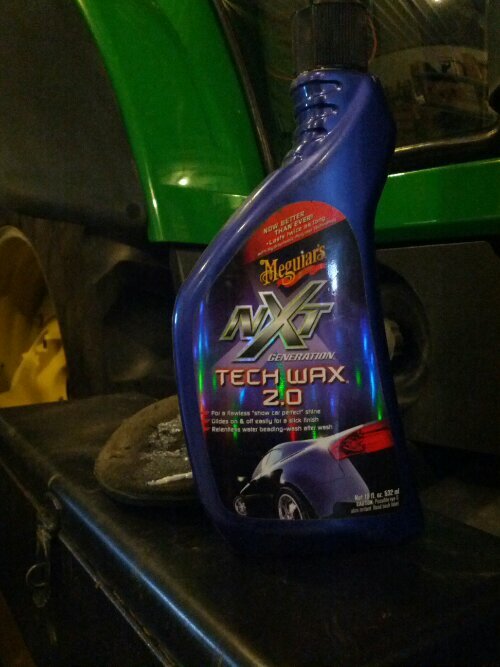 I found a bad one in the driver’s cushion last week and replaced it. Still didn’t work. Driver’s back is torched as well. Hopefully I’ll have a hot seat again by the end of the week. Pulled the whole seat out. I should’ve done this the first time around. Makes the whole job easier. 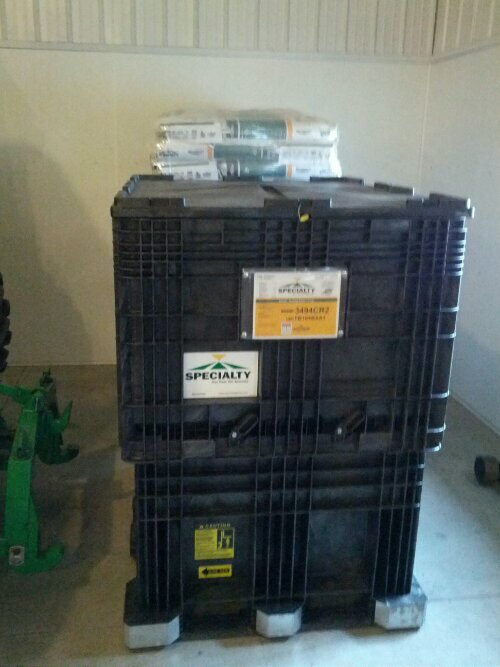 Our first seed for the 2013 crop was delivered. Here you see about 40 acres of soybeans in that box and 200 acres of corn behind it. Friend and fellow agvocate Michele Payn-Knoper has just finished a book about food and farming. “No More Food Fights!” covers ways farmers and consumers can engage in meaningful conversations. One of my blog posts is featured in the book! 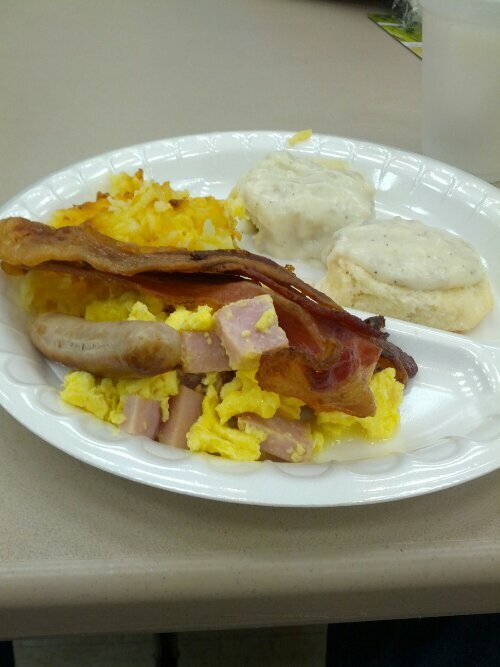 Breakfast before a cover crop meeting I attended on Wednesday. I’ve been bulking up on cover crop knowledge as of late. You may recall a recent post about cover cropping I wrote about our experience getting involved in this practice. 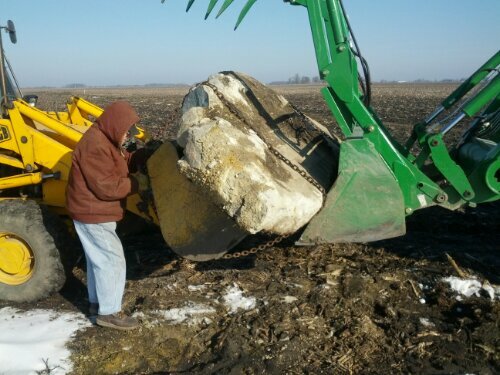 We finally got around to moving the big slab of concrete we discovered underground last fall while installing a new drainage system in this field. 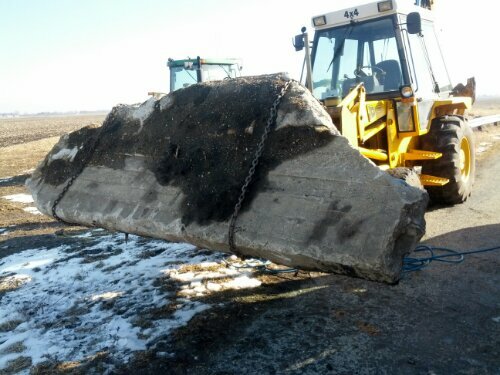 We used the backhoe and the loader to lift it and chain it to the backhoe bucket. Result of walking the edges of a field that was up for auction this week. Too high a price for us considering the location and soil type. Image | This entry was posted in #AgChat, Pictures and tagged Cover Crops, Farmer, Pictures, seed, tractor. Bookmark the permalink. 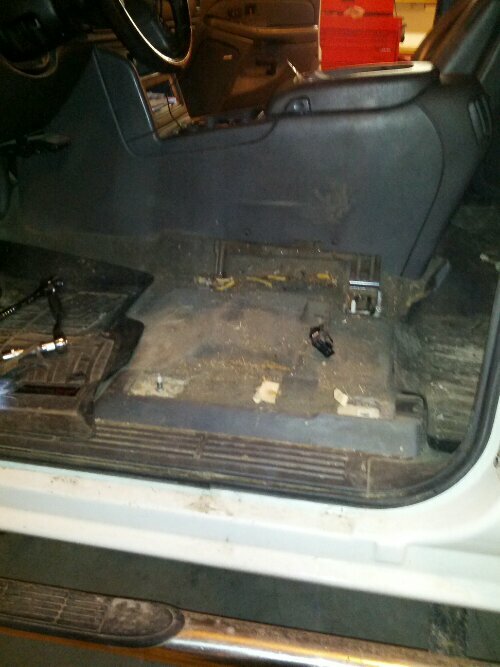 You should save your money and do what the Amish do – wrap hot bricks in blankets to stuff under your seat. I’ll take that under advisement. 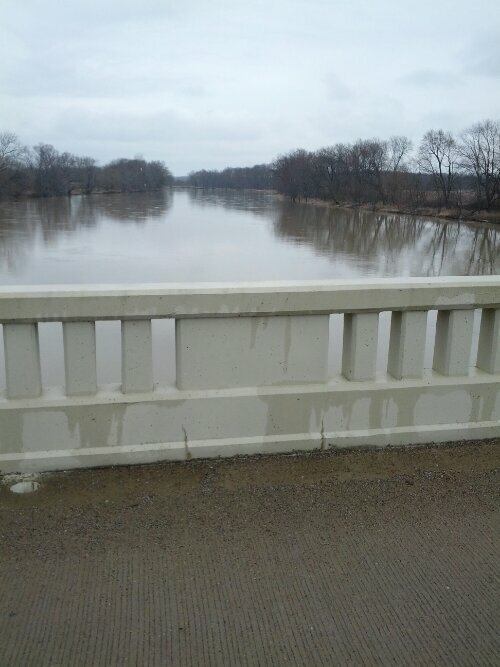 The Wabash is just a little too mighty right now. But at a 16 foot gauge down here it’s probably adding a bit of soil to my bend rather than eroding it. 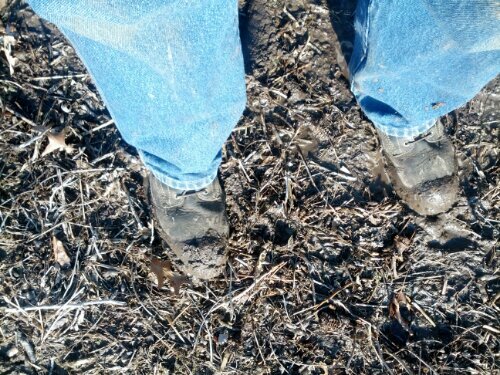 At least we don’t have to worry about soil moisture in the bottoms. Drainage ditches are getting back to normal levels around here. There is always plenty to do on the farm! Looks like you are keeping busy. I’ve heard it does make the whole job easier to just take the whole seat out too.